Enhanced safety and comfort features keep employees safe and happy. Jubilee Embroidery’s selection includes hi-vis (high visibility) gear for men and women. With neon-bright colours and reflective tape, companies can select workwear for all seasons, with comfy winter jackets and sleek, yet protective polos, tees, and short-sleeve shirts for summer. Our workwear has a high sun protection factor and wicks moisture away from the body to keep everyone dry and comfortable even while sweating in the hot sun. Reflective tape to highlight your workers’ limbs as they move create a “Bio Motion Effect” to enhance their visibility. All of our workwear meets Australia’s high standards of worker protection for both day and night use. Onto this quality protective gear goes your company’s name and corporate logo. Whether you choose screen printing or embroidery, your employees will be out and about with a customised look that reflects your company’s quality of work. Our bright, attractive colours and designs draw the onlooker’s eye while maintaining top-flight safety for your employees. With the help of our expert designers, your name and logo will go where they are most visible on each garment. Cconsult Jubilee Embroidery to meet the need for quality protective safety wear that also promotes your business, contact Jubilee Embroidery today. NOTE: Embroidery on Hi-Visability safety garment – Excessively large logo’s may jeopardize the classification of the garment. Embroidery on wet weather jackets may also impair the waterproofing properties of the garment. 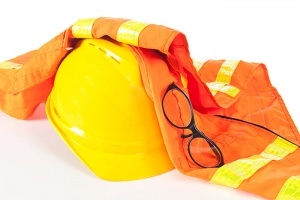 Browse the suppliers below for a great range of workwear.